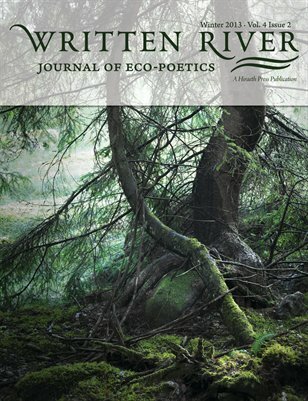 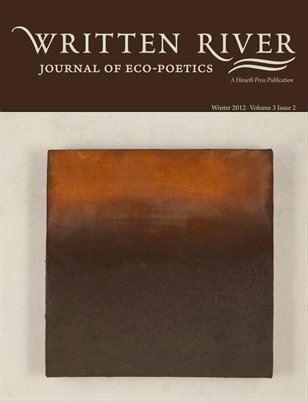 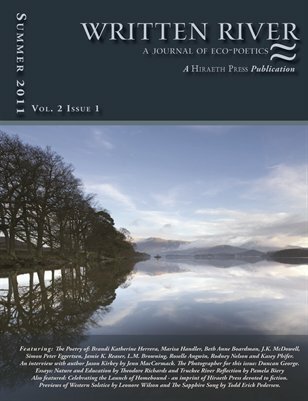 Written River is a literary journal published bi-annually by Hiraeth Press which focuses on poetry and non-fiction prose exploring nature and our relationship to it. 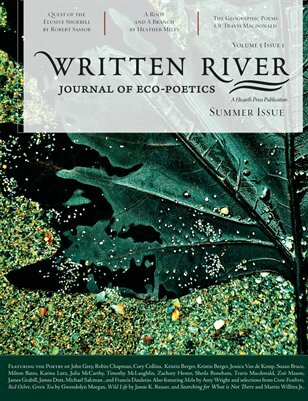 Published on the Summer and Winter Solstices in digital format, we strive to encourage the discipline of ecopoetics and return the voice of the poet to the body of the Earth. 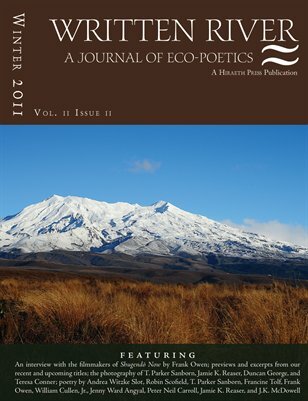 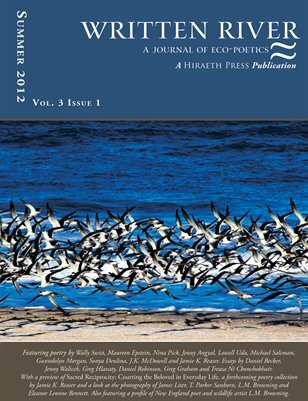 Ecopoetics is poetry in which the energy of the ecosystem flows through the poem, creating a written river of words which ebbs with the creativity of the entire Earth community. 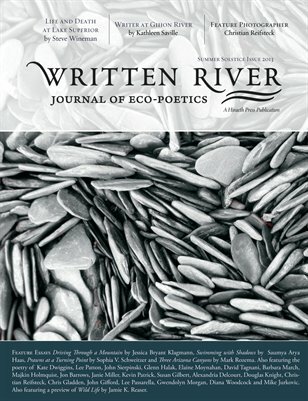 Written River marks the confluence of many streams and many voices as they flow back into the nourishing ground of the watershed.